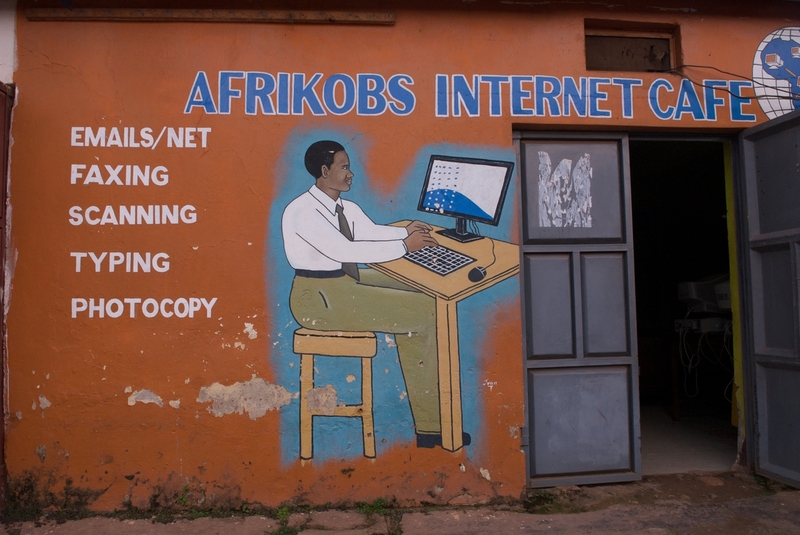 The Afrikobs internet cafe, Kabale. Six computers share a single slow wireless modem connection. A mixture of internet and general business services show that rather than a place of relaxation, the net cafe is the office for many entrepraneurial Ugandans.